Infor, a leading provider of beautiful business applications specialized by industry and built for the cloud, today announced that Triumph Motorcycles, the iconic British motorcycle manufacturer, has selected Infor as its IT partner to support the business in achieving a major global transformation of its business systems. The Infor suite of software will be used initially to transform Triumph’s global motorcycle order to fulfilment process, delivering improved manufacturing agility and enabling Triumph to offer an even greater premium customer experience. Infor’s automotive suite of applications will support 1600 users across 24 countries and will go live in 2019 following a deployment that will be undertaken in four key phases. Infor won the competitive pitch based on its in-depth focus on the automotive market, scale and global capability, and credentials as both a vendor and implementation partner. Infor LN was selected specifically for its deep functionality and close fit with the motorcycle manufacturer’s complex processes. Replacing a host of legacy systems Infor’s suite of applications will support manufacturing and assembly operations for Triumph in the UK, Thailand, Brazil and India. Specific areas of focus include advanced analytics to evaluate production performance metrics on the assembly line, supply chain synchronization, including financial integration, and real time reporting. In turn this will help enable Triumph to exercise greater flexibility and efficiency across a truly global manufacturing and supply chain network. comments Nick Bloor, CEO, Triumph Motorcycles Limited. comments Paul Carreiro, Executive Vice President, Managing Director, EMEA. Infor is committed to providing applications which not only support the finite needs of specific vertical industries, but allows applications to be easily integrated, accessed and upgraded. 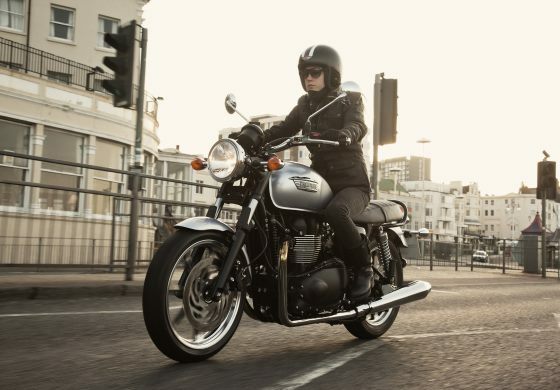 We are incredibly proud that our solutions have been selected over stiff competition to support Triumph’s global business transformation and we look forward to a successful long term relationship with this iconic British brand.